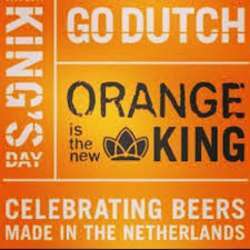 Here comes the King's Day. 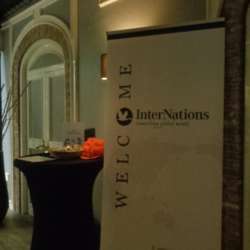 We will do our event a week earlier because we do not want you to miss the colorful, entertaining parties & celebrations which will be held all over The Netherlands. 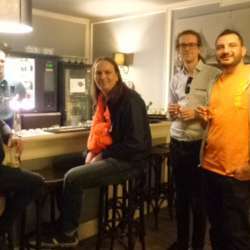 Everybody & every place will be Dutch moreover "Oranje" . For this event we chose a sweet & royal gift for the first 50 attendees. You'll receive a crown & armory symbols, as well as, Merci notes on the little seals, with the look of Family Crest Coasters. You can put your own royal signature to your envelopes, letters, papers or any other decoration platforms and make them personal. 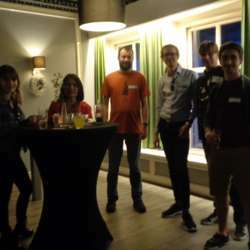 This month's event will take place in Boven, on the 2nd floor saloon with its own bar. Boven is located at the heart of the city, walking distance to all major points and if you want to have a delicious Mexican dinner before our event the restaurant is located on 1st floor. Popular and highly in demand, do not forget to make a reservation beforehand. You could wear a t-shirt or an accessories... as long as it's something "Oranje" to feel the atmosphere. You will enjoy celebrating the night together with dear friends and special for the day Oranjebitter welcome drink & delicious Dutch mix bitterballen, cheese, wurst & gehaktballen snacks during the night.